Co-Parenting: Helpful Hints by Nicole Helmer, Esq. Undoubtedly, if you become a party in a divorce action or undergo a separation from your significant other, it will be one of the most traumatic and stressful times of your life. If there are children involved in the process, the traumatic and stressful nature of it can be multiplied many times over. Do not be fooled that these stressful times will pass when it’s“all over”, i.e., when your divorce or separation is final. If you have children, you will have a life-long connection to their other parent even if your divorce or separation is “final”. I would imagine that no one wants to live a life filled with stress and anxiety over how to parent your child with an ex-spouse or significant other. It is my hope that this article provides some guidance on how to co-parent with your former spouse or significant other such that your stress levels are reduced and your relationships with your children and their other parent are improved. Most importantly is the need for cooperation and compromise when dealing with your children’s other parent. Keep in mind that your children are watching and listening to what the two of you do and say to each other. While it may be extremely difficult it is absolutely necessary to remain civil with each other, at a minimum in the presence of the children. Everything from the tone of your voice to your facial expressions and body language can trigger emotional turmoil for your children. Encourage, foster and facilitate parenting time with your children and their other parent. When determining an appropriate schedule, consider the developmental needs of your children based upon their ages, and be cognizant of the fact that the schedule may need to change over the years as the children get older and their needs change. For example, it is highly unlikely that the same parenting schedule will work for both a toddler who is not yet of school age and a teenager with friends and whom is involved in extracurricular activities. As parents you need to recognize and accommodate for these changes to allow the children to grow and prosper. If you are unwilling to compromise and change from time to time, whom are you really punishing? Your child’s other parent… or your child? Of course, as it was in your relationship with your former spouse or significant other, communication is key. Failure to communicate can lead to a severe breakdown in the relationship, which many of us realize too late. Do not fear that your inability to communicate during your marriage will dictate your ability to communicate with respect to your children. Children tend to take on a new priority for parents when their access to them may be limited if they are unwilling or unable to communicate with the other parent. One way in which to look at this new relationship with your children’s other parent is to consider him or her a business colleague. Just as you would in a business relationship, keep the lines of communication open by checking in on them and following through on promises. When it comes to your children, the most important thing you can do for them is to ensure that they know they are loved, not only by you but by their other parent; however, as you know, love is not enough. Some simple things to keep in mind are that parenting time is meant for your children, not for you, despite the feeling that many parents see it the other way around. So, if your child is with you for only the weekendbut would really like to have some friends over, allowing the same on an occasional basis may strengthen your bond with your child. Additionally, there are times when a child needs to have some alone time with you, i.e., no siblings, no significant others. Just “Mom” and “John” or “Dad” and “Jane”. Naturally, your children are going to be upset about the separation of their parentsYou can and must assist and support them through the process by being there for them and enlisting the services of counselors or therapists, if necessary. On the other hand, your children should not be there to assist and support you. It is critical that you find a support network and separate from your children because, in order to care for your children, you must first care for yourself. 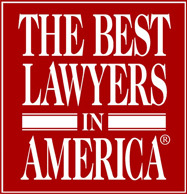 - Article by Nicole Helmer, Esq., one of our associates at Gordon, Tepper & DeCoursey, L.L.P. Contact our family law and divorce attorneys in the Albany, Schenectady, and Saratoga region for your confidential consultation today.